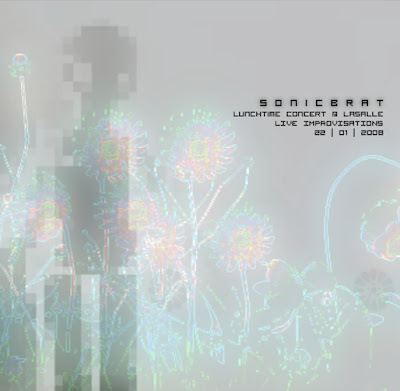 "A live improvisation set at a lunchtime concert. All instrumentations were sampled, manipulated and processed live with KP3 and RC-20 into various effects processors. All percussions were done on the electric guitar. Only three instruments were used: 1) Toy Xylophone; 2) Electric Guitar; 3) Voice; In the middle section, the sounds and noises were feedbacks caused by sending signals from the INEKO and KP3 into themselves, causing a feedback loop and manipulated with EQ live, the rest were processed sounds with Plogue Bidule and hardware effects unit of the original live sampling. Sonicbrat live 22/01/2008 @ lasalle. It's a live solo improvisation lunchtime concert.